Brody, his girlfriend Kerry and their friend Leo go hiking in Dartmoor’s Wistman’s Woods, so named because of its legendary haunted past. 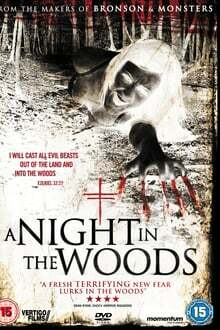 That night jealousies, sexual tensions and strained relationships come to a head turning what should have been a peaceful camping adventure into a trip to terror. As collective paranoia reaches fever pitch it becomes clear that there is a much darker force at work in the ancient eerie surroundings. Who or what is after them? And can any one of them survive a night in the woods?